A beautifully renovated red brick terraced house located just moments from the beautiful harbour front of Padstow and its boutique collection of shops, pubs and highly acclaimed restaurants. Fifteen sleeps up to 8 guests comfortably in a collection of 4 chic bedrooms. A large patio and grassed garden is a safe haven for children and dogs. 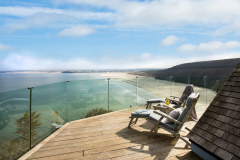 Fifteen also boasts views that stretch across The Camel Estuary to the popular hot spots of Rock and Daymer Bay. Arranged over 3 floors, Fifteen is a gorgeous, spacious home having been lovingly renovated. A clever use of space has opened up the loft into a beautiful bedroom with fabulous views of the Estuary and rolling countryside. A fresh neutral backdrop has allowed the owner to creatively persoanlise each space from the punchy bright pink, purple and patterned soft furnishings to the gallery of artwork. The main house benefits from traditional features whilst the smart clean lines and use of glass to the rear extension bring this coastal home to the 21st centrury in true style. Overlooking the rear garden this substantial space is filled with lots of natural light and boasts floor to ceiling glass doors that push right back, bringing the outside indoors. This room is a real hub to the house and the perfect entertainment space for cooking and enjoying meals together or simply relaxing with the papers or watching TV. The garden is a generous size with designated patio area with table and chairs plus cosy summer house and further seating area to the far end of the garden. 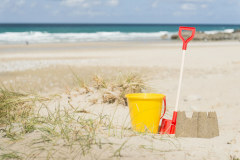 There is also a swingball set for the perfect family knock-out tournament and considerately placed hooks to dry off your beach gear and wetsuits. There is allocated off-road parking for up to two large vehicles. From the culinary flair of Rick Stein to the innovative creations of Paul Ainsworth, Padstow has firmly stamped its mark on the gastonomic map be it fish and chips on the quay, or 7 course fine dining. Quirky boutique shopping, cafes, pubs and galleries ensure days are fulfilled. 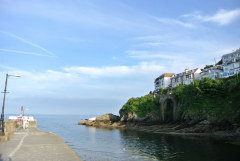 Rock is a short water taxi ride across The River Camel and is frequently referred to as the coolest coastal honey trap in the British Isles so loved by celebrities, royals and a select loyal following of high flyers and fashionistas. 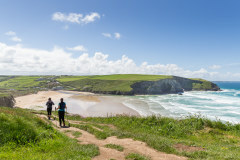 A bracing walk from the town up to Stepper Point is well rewarded with enviable views of the Cornish coastline stretching as far you can see. 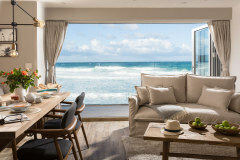 Fifteen is the perfect north coast holiday pad whether a full house of 8 or simply a relaxing bolthole for 2, with Newquay Airport just a 30 minute drive away, you'll be enjoying all things Cornish in no time. 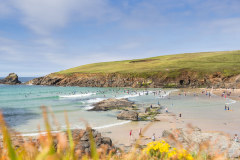 There is a plethora of beaches all a short drive away including Harlyn Bay, Constantine, Treyarnon, Trevone and Watergate Bay or walk through the town and out to Tregirls Beach. Contemporary open plan kitchen, dining area and living area, the hub of the house! With a long list of wants and needs to accommodate, I never thought we would please everybody, but Fifteen really was great. Convenient for Padstow and The Camel Trail, we really loved its location. Excellent location, well looked after and very well equipped. The Cornish Gems staff are always friendly and approachable. Their desire to please is evident in everything they say and do. It's what keeps us coming back to book our hols in Cornwall. Lovely house! Look forward to booking another Cornish Gem somewhere new next year! Size of property and garden were excellent and the kitchen was good to use. 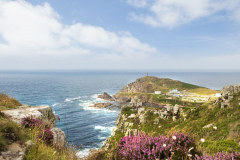 Delighted with the service provided by Cornish Gems and the ease of booking. We were very happy with the house and our holiday in Padstow. Fab time had by all. The house was beautiful and suited our two families perfectly. Thank you. Fifteen was a lovely property-one of the nicer I have stayed in and I have been coming to Padstow twice a year for last ten years. 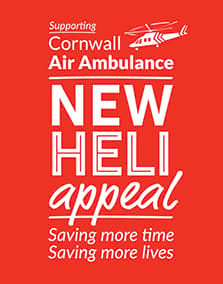 Will definitely book with Cornish Gems again. A very clean lovely house. A real home from home. We had a great stay. Beautiful place and loved by all! it was so welcoming, clean, well presented and great facilities with loads of space for all our children/baby equipment, and space for grown up relaxing too. 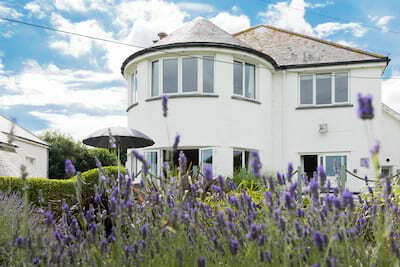 Fantastic accommodation in lovely central Padstow location. We had a truly relaxing and very comfortable stay. 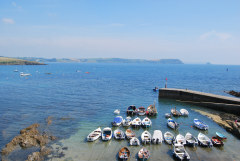 We would recommend this property and Cornish Gems again! Property was a brilliant base to explore North Cornwall. It was very clean and very well equipped. We had a great stay. Fifteen was wonderful in every way. The property was fantastic, 5*. We loved staying at fifteen and would definitely return! Had a lovely holiday once more with Cornish Gems, this is the 4th time we have stayed with yourselves. The properties are always perfect and certainly make your holiday special. Beautiful house with lovely features and amazing views from top floor bedroom.